It’s that time of the year when you will find pool noodles and water toys in almost any store that you walk into. 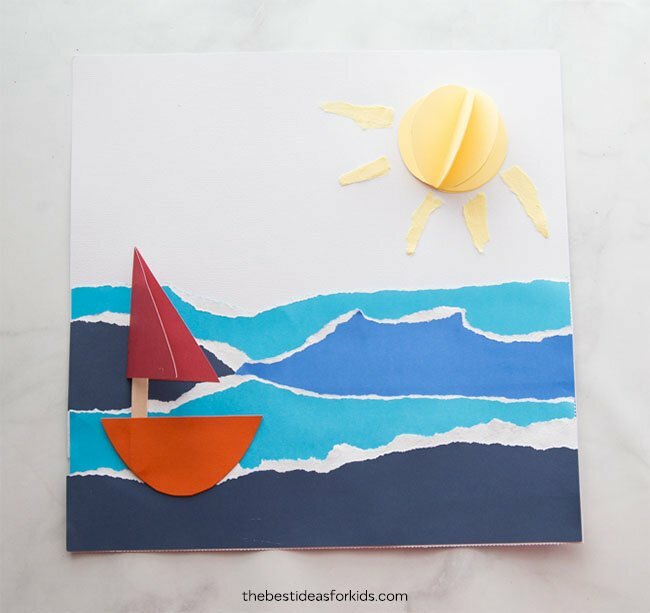 This is a perfect summer activity for the kids since they can make their own boats and then play with them in a water bin. 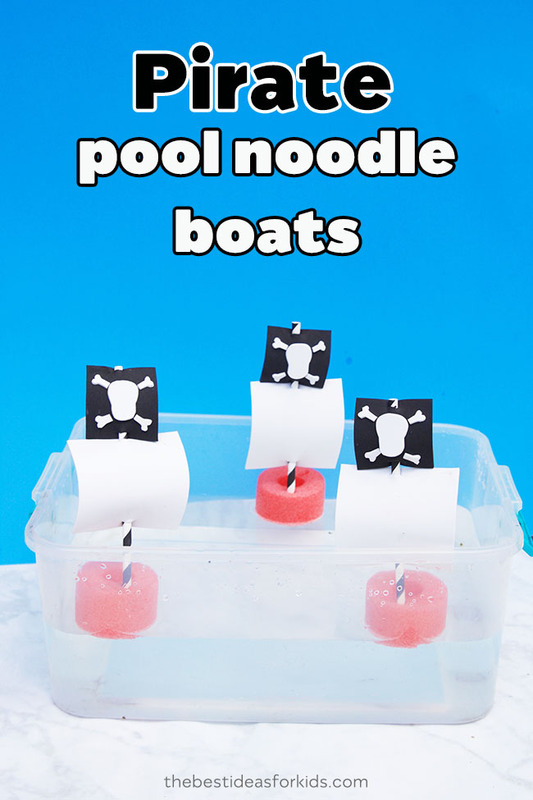 These pirate pool noodle boats are such a fun way to make a DIY water toy that kids will love. 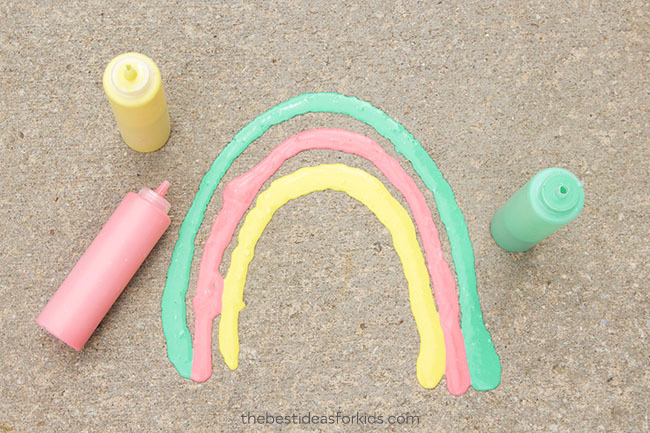 All you need is a pool noodle and a few other supplies to make these adorable pirate ships. 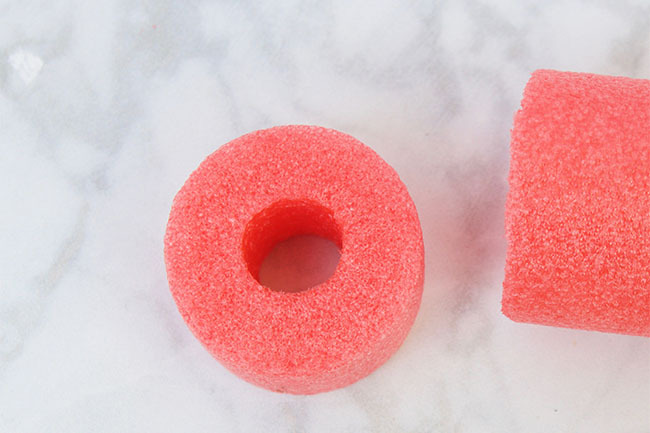 Pool noodles cut easily with a serrated knife, so you can make a whole army of pirate ships from just one noodle! Have an adult cut the noodle up and the kids can help decorate it to turn it into their own pirate ship. Grab some pirate toys and a large clear storage bin and place your finished pirate ships in to play. 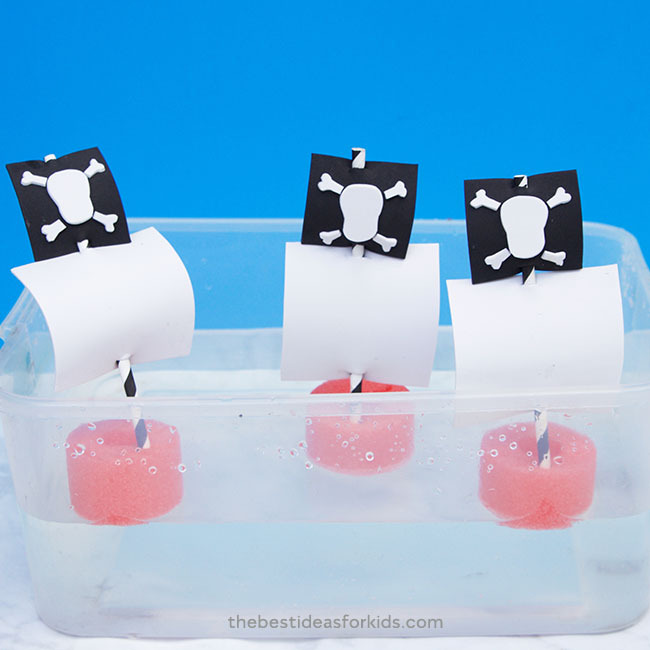 Kids will love playing with these pool noodle pirate ships! 1. 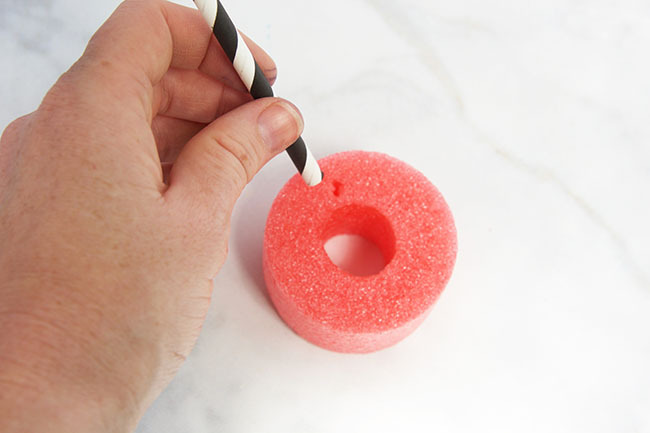 Using a serrated knife, an adult can cut the pool noodle into pieces that are about 3 inches thick. 2. 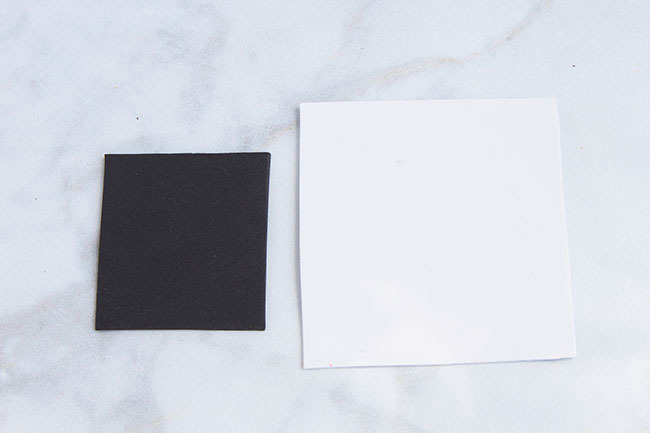 Cut the white foam sheet into a square that is about 3 X 3 inches. Cut the black square to be slightly smaller, about 2X2 inches. 3. 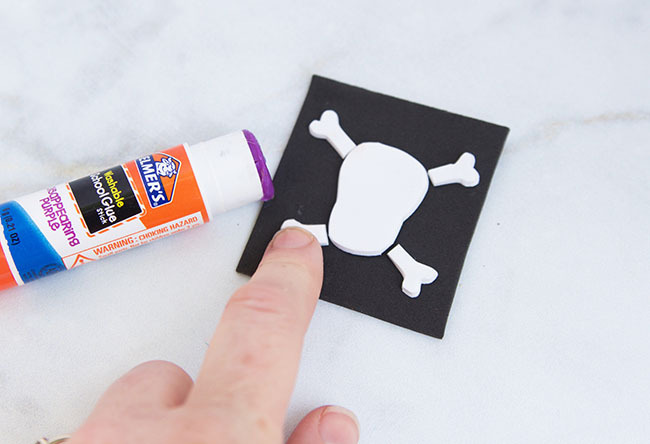 Cut skull and cross bones shapes out of white foam and glue the skull and cross bones onto the black foam. 4. 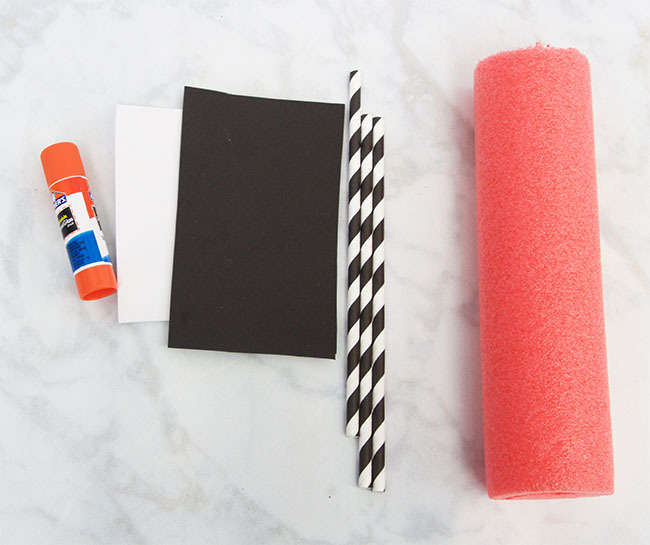 Using scissors, make 1/2 inch slits in the top and bottom of the white and black foam squares. Thread the straw through the foam sheets to make the ship’s sails. 5. Push the straw into the pool noodle. You may need to make a small hole in the noodle with scissors to help attach the straw. 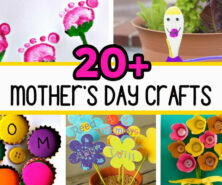 Now your pirate ships are ready to float! Grab a clear bin and fill it with some water and watch them sail away. 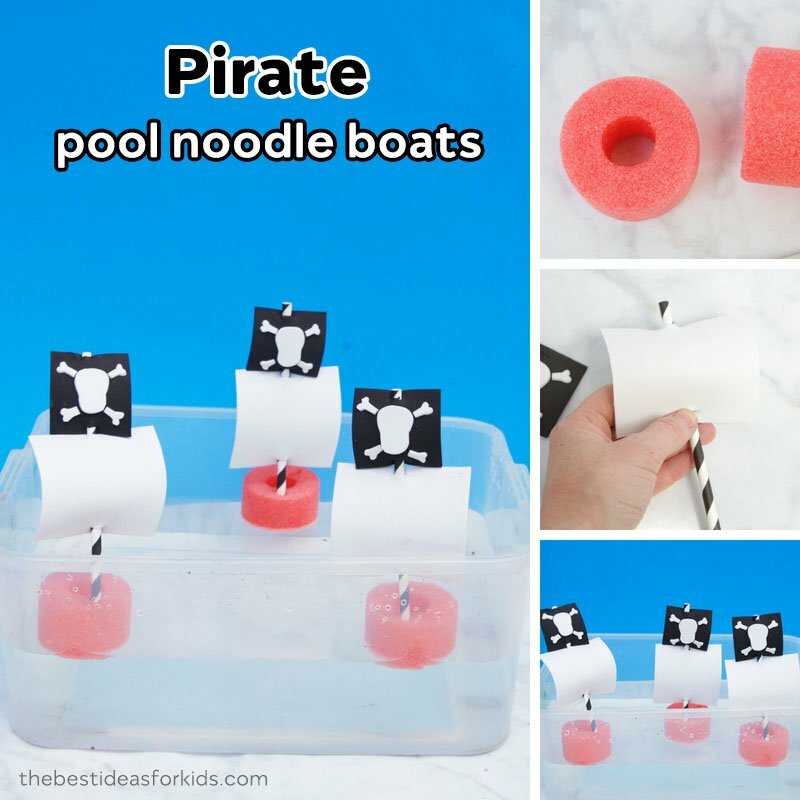 You will just love making these pool noodle pirate ships. 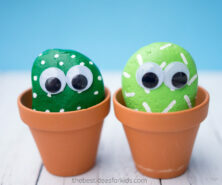 Play with them in the pool or even the bath tub. 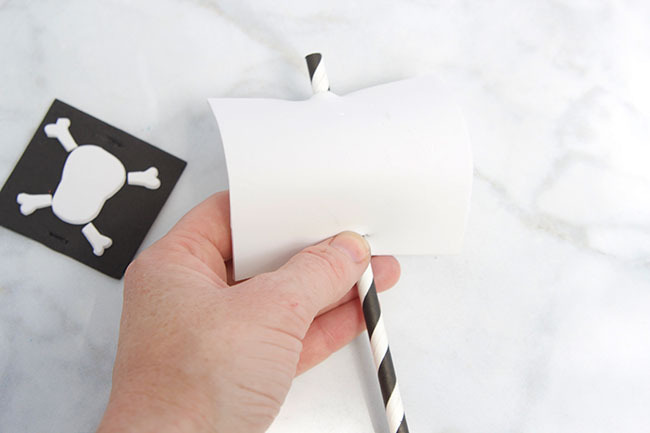 This would also be a fun craft for a pirate-themed birthday party!